The remarkable story of the ragtag, but ultimately world-famous Falcon Robotics Team from Carl Hayden High in Phoenix unfolded in 2004. Carl Hayden was then known largely as a school where as many as 80% of the kids were living below the poverty line. Many were Hispanic immigrants, some undocumented and living in the shadows. But teachers Fredi Lajvardi and Allan Cameron were determined to find some way to make learning fun for kids who, outside of school, were living under so much pressure. That’s why they decided to kick off a robotics club. It was a chance for kids of little means to rely on their imaginations in big, unlimited ways. It’s also why they decided to enter the Marine Advanced Technology Remotely Operated Vehicle competition, which requires students to design an underwater robot capable of carrying out sophisticated assigned missions. The robot that best completes the missions wins. They didn’t take their chances very seriously—the competition would pit their young and inexperienced robot designers against college students from MIT, Harvard and other elite universities.—but they did think it was worth the kids trying with all their might. 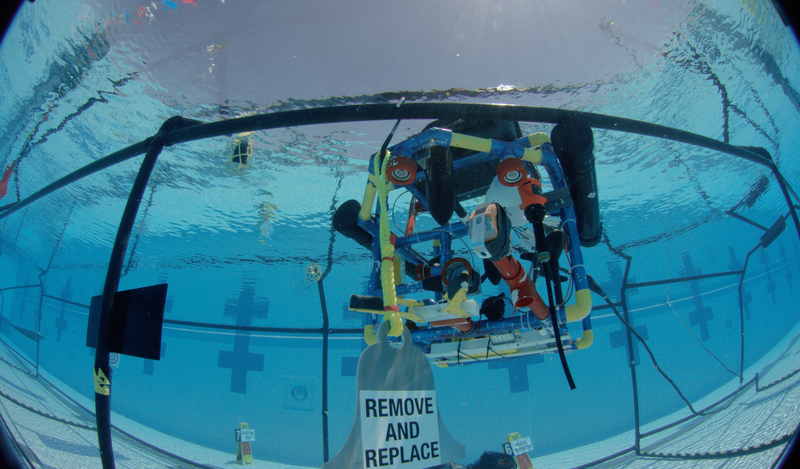 Together, the team engineered a remote-control robot with just $800 worth of parts, mainly PVC pipes equipped with a processor, propellers, depth detectors, an underwater microphone and a very sensitive pincer. They named him Stinky, in honor of the reeking stench of the rubber glue they used to hold him together. 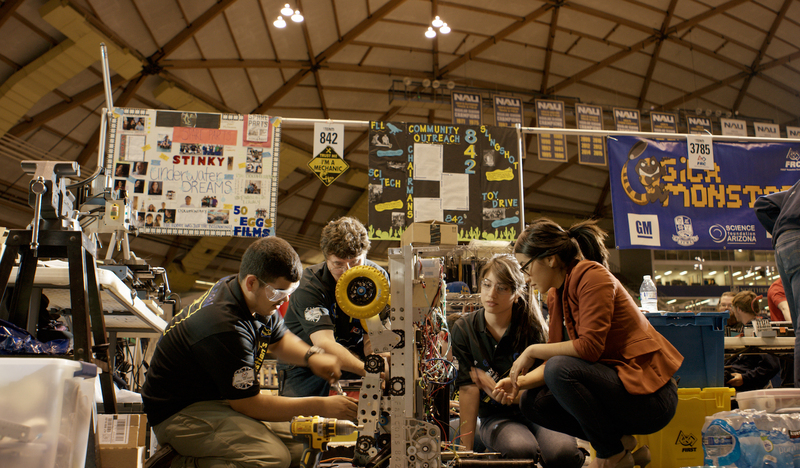 The competition was almost over for Carl Hayden before it began when their robot sprung a leak. But the rest became history–covered widely in the media and even sparking a Hollywood feature film–when they jiggered an ingenious, last-second solution and the chance for their robot to complete obstacles even the most prestigious teams had failed. 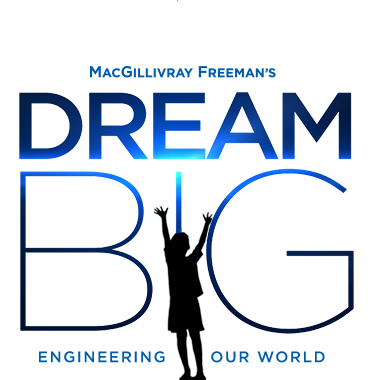 Today the robotics program at Carl Hayden is world-famous and thriving–it has grown ten-fold in numbers of participants since 2004 and about half of the participants are now women. Many of its students go on to college.